In Ireland, February is Anti – Bullying Month. Department of Education Definition: Bullying is unwanted negative behaviour, verbal, psychological or physical conducted by an individual or group against another person (or persons) and which is repeated over time. 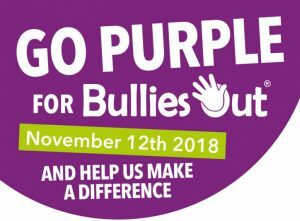 The following are types of bullying behaviour: deliberate exclusion, malicious gossip and other forms of relational bullying, cyber-bullying and identity-based bullying such as homophobic bullying, racist bullying, bullying based on a person’s membership of the Traveller community and bullying of those with disabilities or special educational needs. As part of our Anti – Bullying campaign children will be learning about appropriate and inappropriate behaviour. Children will be exposed to our Peer Mediation script to resolve issues, incidents and disputes. Children will be taught the meaning of the word bullying and how to correctly use the word Bullying. All classes will be learning about recognising bullying, rejecting bullying and reporting bullying. Children will alos learn all about cyper bullying. This work is done through poems, stories, youtube clips, drama and classroom based activities. If you have any questions about the content please speak to your child’s class teacher.